Success takes many forms, from the personal triumph of getting your kids to school on time, to the satisfaction that comes from successfully starting an online venture or other lucrative business scheme. Whatever your goal, it is worthwhile remembering that there will be obstacles along the way and that the most successful of people have suffered their fair share of setbacks. It can be daunting to consider crowd-funding as a means to starting your business, but sometimes taking a gamble is the only way to achieve your dreams and there are plenty of powerful people who prove precisely that…..
Why is it that the people you least expect to be successful are quite often the ones that are? I’m talking about the Donald Trumps and Kim Kardashians of this world; people who are often the subject of much ridicule due to their extreme views and unfortunate media profiles, yet are highly successful in their chosen fields. Then there are people like you and me who never seem to catch a break? 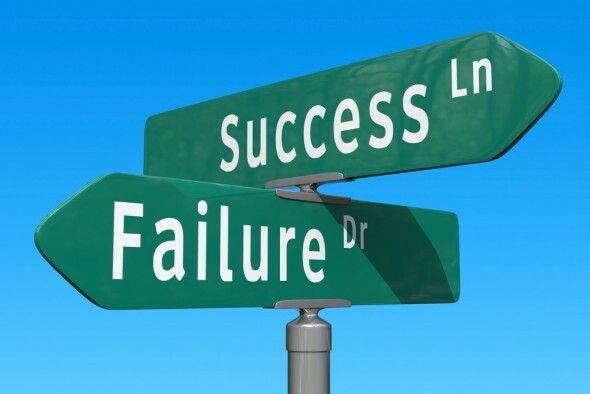 Perhaps it is time to realise that even the most successful people took a gamble somewhere along the line, and as a result suffered their fare share of knock-backs before ultimately reaching their goals. Donald Trump is known for being a highly successful businessman, and you are probably aware of his recent foray into politics resulting in him becoming a real contender for the American Presidency. However, you are less likely to know about the many business ventures which went completely awry. For example, have you ever played the Trump board game or thrown back a few shots of Trump Vodka while enjoying a few slots at one of Trump’s three casinos? No? I can’t say I’m surprised, as according to an informative blog by the Australian online casino company Lucky Nugget Casino these are just a few of Trump’s enterprises that have failed to become as popular as Trump believed they would. 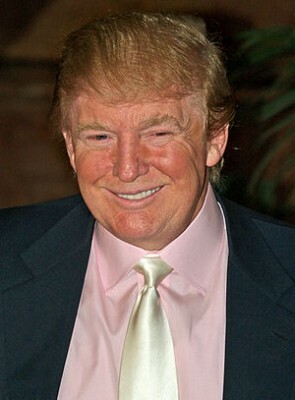 Despite these tremendous set backs, Donald Trump has gone on to be a wealthy and successful leader in business, and don’t forget this one man who has suffered so many failures, could actually become the President of the United States of America. Should he succeed, it will certainly be due to his can-do attitude and ability to maintain self-belief in the face of failure. No matter what your views of Trump, his perseverance must be admired. Being bitter is not going to get you anywhere. Realise that other people’s journeys are not your own. You are amazing, and all you need to do to realise this is to unlock your own potential. Concentrate on your own abilities and goals and be inspired by other people’s successes rather than envious of what they have achieved. How can you do this? Firstly, decide what it is you want to achieve and think about what you have already attempted in order to make it happen. Some paths to success seem easier than others, but by taking advice from people who are where you want to be, you may see a different route. Perhaps Go to networking events, get new qualifications, write to the companies you want to work for and never ever give up! Why is Crowd-funding the Answer? Musicians, inventors and online venture entrepreneurs are just a few of the groups that have benefited from the ingenious concept of crowd-funding. Even game developers are experiencing a boost in profit from crowd-funding their projects online. Which might explain the increase in games across the board from adventure games to online slots. For a small, or large donation, people can become investors in your project and be a real part of your success. Those that believe in your venture will love the chance to be part of the story and are more than willing to give money in return for a part, or all of the finished product. Crowd-funding creates a win/win situation for you and your customers, with you getting to produce that album, product or business, and your customers being guaranteed a part of the pie. Having the belief of others behind you is a fantastic way to achieve your dreams, so stop dreaming and get crowd-funding! A lot of people were horrified to hear of Gifford being shot. Social media was buzzing with questions and updates and quickly came to the conclusion that Sarah Palin has somehow induced it. Many journalist wrote about her style of interview and how she had Democrats in ‘Crosshairs’ on her website. They felt it might be dangerous and many said so. Regardless of which side you fall on, Sarah Palin now has some bad publicity to deal with. Here are some of the things she could think about doing. If you are in business long enough you will have to deal with some bad publicity. Everyone has unhappy customers. Some unhappy customers go to the press or put it on a website to complain. I personally have complained via the web about a company I was unhappy with. You have to realize it is part of business. You can choose to let the bad publicity sit there. What will happen? Well, you cannot control the consequences. You might have a lot of potential customers turn away from you. You could open yourself up for other type of lawsuits because people see vulnerability. If you never clear it up, you will never know when it will come back. I never recommend ignoring bad publicity, especially in an emergency. I do recommend being ready for these emergencies. You can do a lot of things to help mitigate the backlash. You can make sure only one spokes person from the company talks to media. Right now, as I write this article, Sarah Palin is advocating that people pray. Will it answer all her detractors? No, but it will make some people feel that she is concerned about the trend that is happening and her contribution to it. For a lot of people that is enough. After all, she did not force the man to pull the trigger. 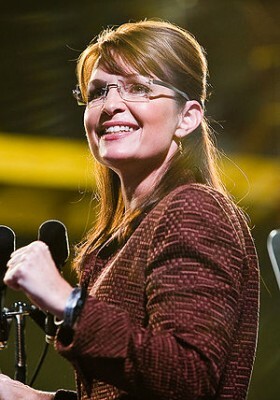 Palin did have the courage to speak for herself and not allow a spokes person to speak for her during this tragic time. Having a spokes person speak for you when bad things are happening makes you look guilty. No matter how great the spokesperson is, the public will feel you are avoiding their gaze because of guilt. In the face of bad publicity you can do a good deed. When the founder of Facebook realized that he seemed like a jerk, he made a huge philanthropic donation on Oprah so that people could see he was a good guy. After that he was named Time’s Man of the Year. Of course, it was not just because he gave the donation, but that helped!